Why Choose an Event Theme? When you think of themed events, do you picture little kids dressed as super heroes? Event themes are actually appropriate for all ages. 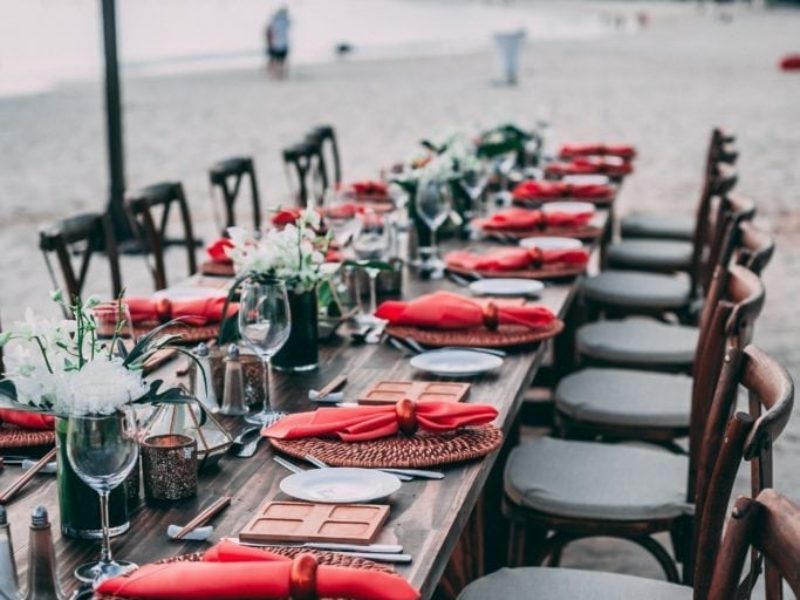 As you begin planning your next event, consider choosing a theme. Whether family, social, or corporate, a theme can make your event simpler to plan, more inviting to your guests, more productive, and of course, more fun! Even if you’ve done a fair amount of event planning in your day, the process can seem overwhelming, especially at the outset. Deciding on a theme early on will provide a planning focus that will save you time, energy and money. The professional staff at Douglas K. Catering knows that a 40th birthday party for your sister that revolves around one of her favorite activities (star gazing, for example), will save a lot of time when deciding on the venue, the decor, and yes, even your menu choices — which we can easily rename to suit the affair (Chocolate Constellation Cheesecake, anyone?). With your energy narrowly focused on an overall theme, you won’t waste energy trying to “create a flow” of activities; your theme will naturally generate ideas for activities. And while you may or may not save money by choosing a theme, you won’t waste it on trial and error planning, changing your mind mid-stream, or on choosing a color scheme that you later decide just doesn’t work. Your theme will also make life easier for your guests. They’ll know what to expect, such as the type of gift to bring for the birthday girl (or retiree, or graduate), the desired event attire, or if it’s a business event, the focus, goals and outcomes. Choosing a theme is also a great way to enhance the event’s attractiveness. For example, a company-wide gathering for a landscaping business could be just another annual meeting, or it could be themed, Money Grows on Our Trees! A clever theme can really create a positive “buzz” of anticipation! Especially for corporate events, devising a relevant theme will also help keep the event focused and therefore more productive. A growth theme, for instance, will keep every break-out session focused on growing the business, thus increasing the likelihood of tangible outcomes. Our catering experts are happy to suggest menu items, possible table displays and a general décor that complements whatever your theme may be. For example, a table accented with beautiful greenery reinforces the idea of growth; a colorful, fresh fruit and veggie bar complements a health theme; ice cream sundaes and banana splits emphasize a theme of fun! A family or social gathering may not need a theme in order to add lightness and fun, but what about corporate events? A theme that is both serious and fun opens the door to make a “ho-hum” meeting into one that might use interactive games, mystery, and/or humor to create a meaningful and memorable gathering. Catering is all about creativity, and we’ll help you find ways to inject fun into your event. Our servers are not beyond wearing goofy glasses & hats, clown make-up, or even breaking into off-key singing on cue! We love what we do, and we love making your event truly special, effective – and fun! Douglas K. Catering will assist you with every aspect of catering your themed event, including simplifying your planning, creating appeal, and making your event fun and memorable. Contact us with your ideas and we’ll help you bring event catering to life! Proudly serving Fort Lauderdale since 1986!